On the prom committee? 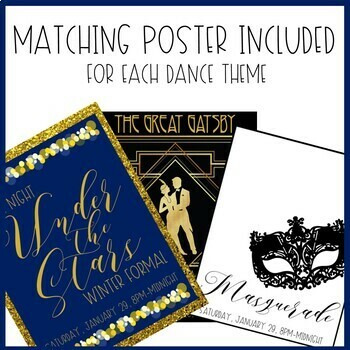 Trying to plan winter formal? Want to have a great homecoming? 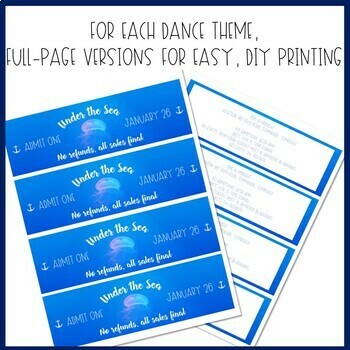 Looking for a adorable ticket templates for each of the dances you are helping plan this year? Look no further! 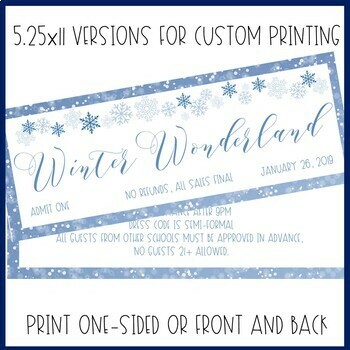 The text in these templates is fully editable, making these customizable ticket templates perfect for any dance or ticketed event at your school! 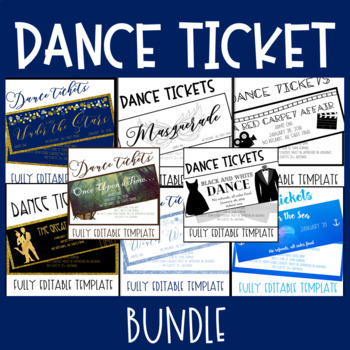 This is a growing bundle, which means that there are more themes to be added soon! The price of this bundle will go up as each new theme is added, so the price is as low as it will ever be! Buy now and download the updates for free as new themes are added to the bundle!